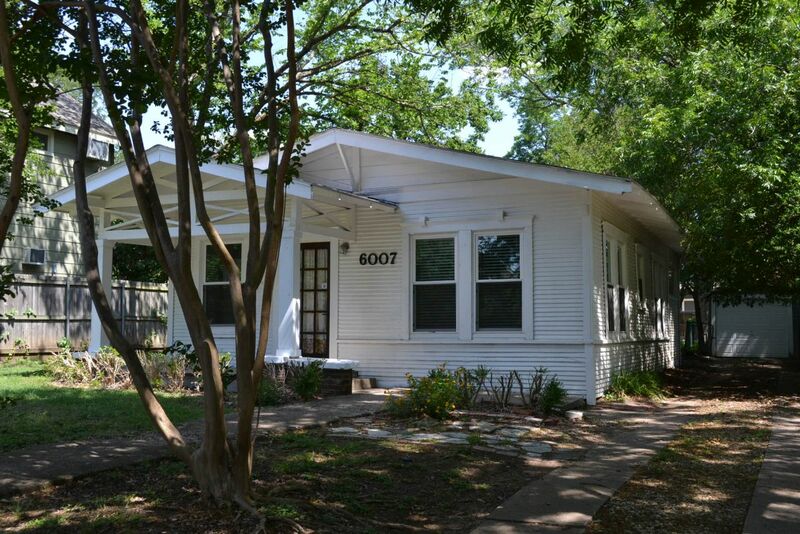 Hilites: Craftsman style house in lower Greenville area of East Dallas. Hardwood floors in most rooms. Updated kitchen. Old fashioned detached garage probably good only for storage. Covered patio. Appliances: Stove, dishwasher, disposal. Furnish your own refrigerator. Hookups for full size washer-dryer. New central heat and air. Terms: 1. 12 month lease. 2. Pets negotiable. Deposits start at $500 if accepted. 3. Tenant pays utilities and takes care of the yard. Misc: Fenced back yard. Built 1921. Public school district: Dallas.